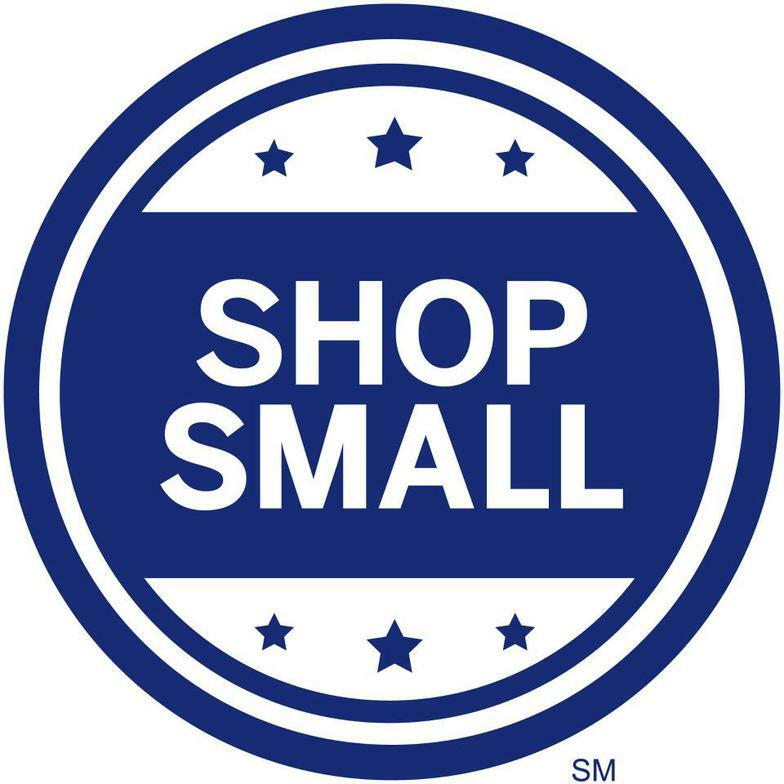 Downtown Georgetown Association (DGA), a 501(c)(6) non-profit, works to preserve and expand what you love about the downtown historic shopping district. DGA endeavors to improve the vitality of the downtown and historic shopping district. We are pleased to open our membership to businesses. With fresh ideas, a growing membership, and a firm dedication to our community, we will continue to generate interest in our wonderful community. Join us and, together, we will continue to enhance the historic downtown shopping district into a premier tourist destination. Lisa has served on the BOD since 2012. She welcomes your feedback and encourages everyone to get involved in their community. She owns Diva Chicks, a boutique for women, located in our historical downtown. 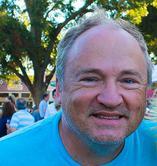 Gary has served on the BOD for several years as our Treasurer. We look forward to working with Gary. 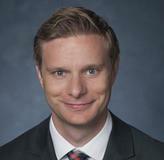 He is a well known CPA in the Georgetown area. Christi has served on the BOD since 2016. She works with Main Street Baptist Church. Jeff is the Director of Marketing for the DGA, he assists with branding and marketing efforts we employ to promote our members and events. Jeff also has a business on the square. As Director of Membership, Ron is responsible for retaining and recruiting DGA members. He is also a local merchants, visit Ron Parks Photography. October 8, 1999 Articles of Incorporation by the State of Texas were filed for Downtown Georgetown Association to become a 501(c) (6) corporation. We welcomed Rhonda Majalca as our first full time office manager. We said good by to Joyce Holms, our office manager of over 10 years. Joyce Holmes - Office Admin. Membership of 34 businesses, plans to paint and fix up store fronts. March 1982 Discussion regarding changing the name from Downtown Merchant Association to Downtown Georgetown Association began. July 27, 1982 a vote went out to the membership and was passed by unanimous vote. Announcement was sent in a press releases. 1983 Bylaws to be updated by Larry Connell and Lois Vasquez to show the new name as Downtown Georgetown Association and to show the dues structure. A membership certificate incorporating the Downtown Association logo designed by Jean Parker is being developed . Spearheaded the " Winery initiative"
allowed downtown to be "wet" walking around with a glass of wine. Side walk signage now we have signs on the corners with business names and locations. Monthly news letter " Monday Mussing"
Ladies Night Out was handed over to the DGA by Main Street. We were sad to see Laurie Wendal go but wish her well in her future journey. 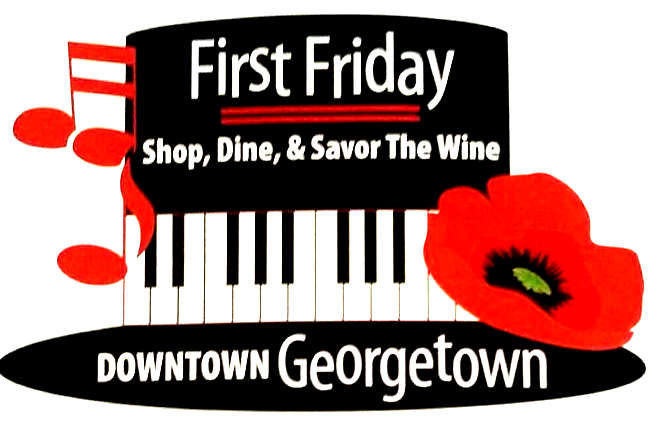 Shopping Events and keep the following events: First Friday, Market Day, Georgetown Wine Festival and Christmas Stroll. ​Shawnee Kunz is new to the board this year. We look forward to working with Shawnee and ideas she may present. She owns The Knitting Cup on University Ave.